Build 15 Homes for Homeless in SF raised $10,100 on HandUp! San Francisco voted for "Housing Not Tents" with Prop Q, but based upon our current housing and long-term shelter shortage we won't be able to transition unhoused residents from tents for months - or even years - to come. It's up to us to work together to create strategic, cost-effective interim solutions that eliminate the complaints from neighbors and local businesses about encampments (e.g. human waste, discarded needles, garbage, crime, safety, and unsightliness) while providing security, safety, sanitation, and pathways to transition and community-beneficial income for unhoused residents. 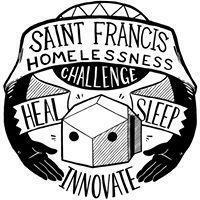 SFHC has been piloting this approach with Box City residents since mid-September 2016 (boxcitysf.com) and is now working to scale up our efforts by working with an existing nearby encampment. For every $600 we raise we can build a beautiful mobile sleep and storage structure that supports the well-being and transition of unhoused residents while adding beauty and order to our city, neighborhoods, and sidewalks. An additional $150/month will go towards providing a portapotty with weekly servicing. This is currently an all volunteer effort, but we hope to raise enough funds in time to pay for the building and organizing work of both unhoused and housed workers. We are in the home stretch with just over $1K to go to reach our $10K goal! Thanks to everyone who has donated and shared the campaign. Please know that with your donations we were able to provide a transitional sleep and storage shelter to a young couple on Carolina street who are expecting a baby in 6 months and currently have no where else to stay. This couple has been actively helping with the construction of these shelters and wants to support the organizing work to build community agreements. We have over a dozen people who have filled out forms to get a transitional sleep and storage shelter, including Becca (featured in the image), and your support is making it possible! You'll start to receive updates in your email on Build 15 Homes for Homeless in SF's progress.